European Council on Tourism and Trade is the promoter of Silk Road concept in Europe and the world, with an accent on presenting the historical and tourist potential of Silk Road nations of Kazakhstan and Turkmenistan. 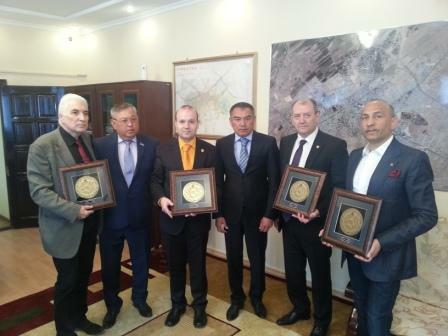 The ECTT President and his tourism and diplomatic delegation had start the Silk Road discovery tour in Almaty, the city apples as is world renowned, the candidate city for World Winter Olympics in 2022. The delegation had being presented by the Governor of the region (Akim) with an overview of the city developments plans and touristic opportunities. 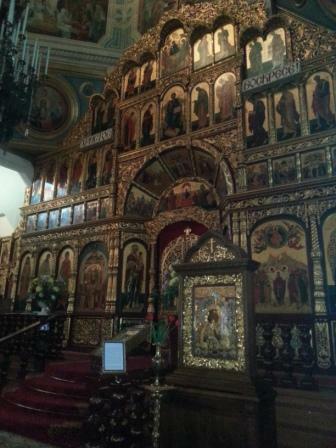 A rich cultural program was carved for European delegation benefit with sightseeing including: State Museum of History, Almaty Art Gallery, city landmarks and a tour of winter sports facilities of Medeu and Shymbulak. 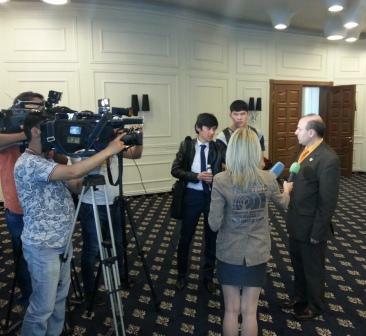 In an interview with Khabar Television, President-Professor Dr. Anton Caragea praised Almaty development as the perfect gate for tourists wanting to enjoy the rich culture of Kazakhstan and to basket on perfect tourism facilities offered by city hotels. 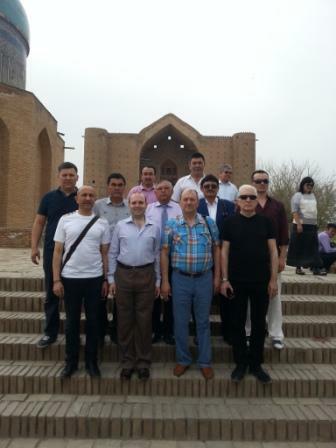 The tour continued into the province of Chimkent (Shymkent), where the delegation visited the historical landmarks, holds constructive dialogues with provincial governors and inspected tourist facilities of the area. 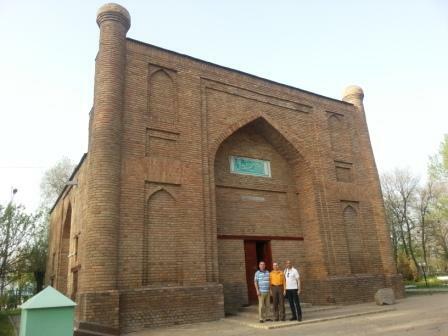 The highlight of the visit was the on-site discovery tour of incredible city of Turkistan (24-26 April) with the world famous Khoja Ahmed Yasawi Mausoleum, Friday Mosque, Otrar ancient city archeological site, the splendid Aristan Bab Mosque, and participation in a special ceremony honoring one of Kazakhstan spiritual fathers (Aristan Bab) and Baba Ragham Mosque. Professor Dr. Anton Caragea highly praised in a Television interview Turkistan incredible mixture of culture, tradition, historical patrimony and perfect tourism potential. 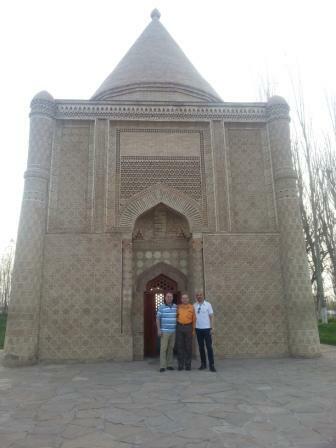 Turkistan is incredible, is vast and rich in everything that a cultural program can offer to you and is well preserved. 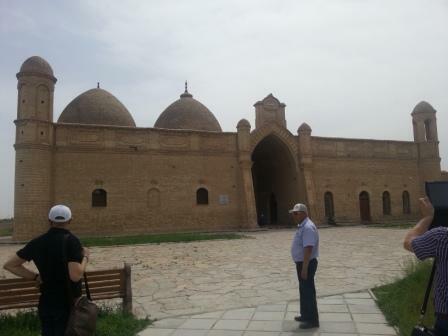 The tourists should flock to this place, as this is the main stop over on Silk Road and Turkistan monuments had served as templates for all later Silk Road construction. One cannot say: I visited Silk Road, without spending quality time in Turkistan, concluded President Caragea. The European tourism body-ECTT tour experience concluded in Almaty, with a press conference highlighting the importance of European-Kazakhstan tourism cooperation and opportunities for Kazakhstan to join European Council on Tourism and Trade. 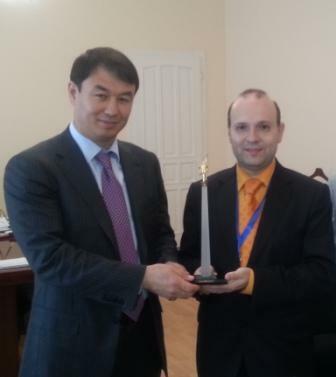 Kazakhstan had embarked in a huge promotion campaign on world tourism stage, in preparation of World Expo 2017 to be held in Astana and Silk Road program developed with European Council on Tourism and Trade can be extremely beneficial for the country tourist potential suggested the European Tourism Academy Director-Mircea Constantinescu. This is even more relevant, as European Council on Tourism and Trade support was instrumental in Astana successful bid for World Expo 2017 and today this cooperation is continuing and enriching in perspective. European and Kazakhstan, shoulder to shoulder in tourism promotion, can develop and give a world resonance to the Silk Road Program for XXI Century, was the opinion of European Council on Tourism and Trade leader-Professor Dr. Anton Caragea.